Located in the London Borough of Waltham Forest, Chingford is a district in East London. With fantastic access to the capital, there’s a strong property market in the area. At My Home Move Conveyancing we have been developing our knowledge of this local market since 2001, allowing us to bring our clients in Chingford a specialist, fixed fee conveyancing service that’s like no other. If you want to buy or sell property in Chingford, you’ll have to instruct property lawyers to carry out the legal work on your behalf. 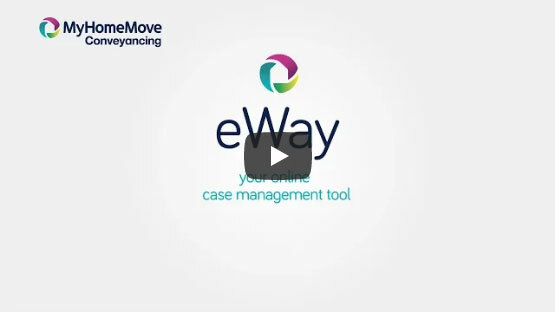 By choosing My Home Move Conveyancing as your Chingford conveyancers, you’ll gain access to our award winning customer service, innovative use of technology and expertise in the local market. Our professional, market-leading conveyancing service comes for a fixed fee, so you’ll know exactly what you’re paying from the outset. What’s more, if you don’t end up completing, you don’t pay us a thing. We assign a dedicated conveyancer to all of our clients, who will look after your case from start to finish, and provide you with regular updates on your progress. At My Home Move Conveyancing, we bring a positive approach to everything we do, and get things right first time round. We’ve provided our conveyancing services in Chingford to homebuyers across the area, from Friday Hill to Gilwell Hill and spots close to the River Lea and the Chingford Reservoirs. The average house price in Waltham Forest is £432,109, while in Chingford the overall average sale price was £413,391 over the past 12 months. Most of the sales in the area involved terraced properties, which went for an average of £440,177. Flats sold for £275,411 and semis for £502,926. Chingford borders Sewardstone to the north, Woodford Green and Buckhurst Hill to the east and Walthamstow to the south. As well as the River Lea, the Ching river also runs through Chingford, while there’s some lovely green spaces to the north of the district. One of Chingford’s major draws is its close proximity to London, making it an ideal place to live if you want to commute to the capital. Trains from Chingford railway station take just half an hour to reach Liverpool Street station, while Highams Park also put on speedy services into London. It’s not far to the M25 ring road, while the M11 motorway also passes to the east of Chingford. If you’re going on holiday, Stansted Airport is less than 40 minutes away by car, while Heathrow Airport is a little bit further. There are some excellent schools in the local area for families with children to take into account, including Chingford CofE and Chingford Hall Community School at primary level. Secondary options include Chingford Foundation School, Heathcote School, Normanhurst School and Rush Croft Foundation School, while London’s selection of universities are also on Chingford’s doorstep. All properties in Chingford will fall within one of the following council tax bands.